Investors who withdraw money from European equity funds due to uncertainty regarding the eurozone crisis may be missing the chance for some good returns. The nine best-performing European equity funds in the twelve months ending in June 2012 returned more than 10%, according to a report from Cerulli Associates that quotes Morningstar data. The best performer, the Vontobel European Value Equity fund, returned nearly 15% in the twelve months, while the Renaissance Europe fund came second with 12.65% and the Comgest Growth Europe fund came third with 12.4%. The nine best performers over a three-year period – a different set of funds – returned more than 20%. These gains came as investors continued to withdraw money from European equities. Cerulli Associates said €7 billion was withdrawn from European equity funds between the start of the year and May, on top of €17 billion withdrawn in 2011. EPFR Global, a data firm, separately released data that says investors withdrew $1 billion (€800 million) from European equity funds in the last week of August. 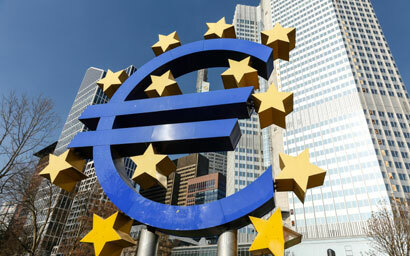 Managers of bond funds have been among the beneficiaries of the flight from European equities. In the same week, bond funds tracked by EPFR Global took in $5.3 billion, taking their year-to-date inflows to more than $270 billion. Although the outflows are likely to be a frustration to European equity fund managers, there is a silver lining to the eurozone crisis which is that many stocks are available at low prices. “Our Templeton Global Equity Group is finding some once-in-a-generation equity values in Europe,” said Wylie Tollette, director of performance analysis and investment risk at Franklin Templeton. Cerulli Associates admitted that market volatility since June has eaten away at some of the gains made in the preceding twelve months.